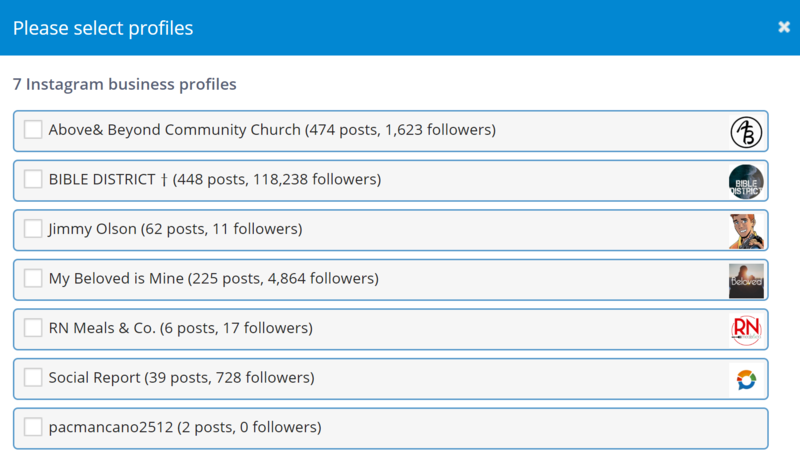 You're attempting to connect your Instagram Business profile but notice it's not showing up on the list of profiles to connect. What do you do to fix this? This article will focus on the two main reasons why this issue occurs. We recommend starting with #1 as it's less intrusive. If that doesn't fix it, #2 will. 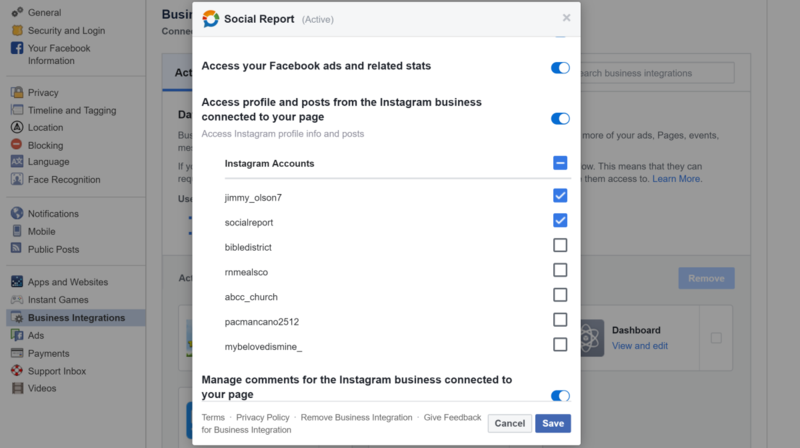 When connecting an Instagram Business Profile or a Facebook Page to Social Report for the first time, you are presented with several permissions. These permissions are all needed so that we can access your profiles/pages for reporting and scheduling. 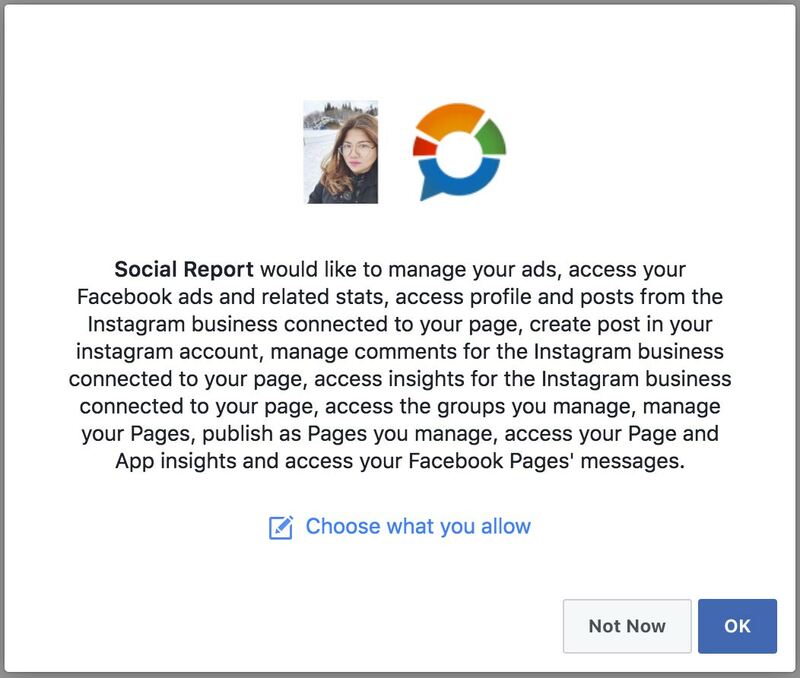 If, during your original connection process, you declined or even slightly modified (choose what you allow) any of the permissions, Social Report will not have the access we need which causes this issue. How can I check if the permissions are correct? Note: Even if you check them off now and click Save, due to an issue with Facebook it won't actually save. You will need to reset permissions with the steps below. Ok, my permissions are wrong. How do I reset them & try again? 3. Make sure you are clicking Continue and Allow for every permission. Do not decline or modify any of the permissions or the issue will continue. Keep in mind that since you have reset the Facebook permissions, you may need to reconnect all of your Facebook pages across your projects if your Facebook Page posts begin to fail. If the Facebook permissions were not the cause of your Business Profiles not showing up on the list, then the conversion to a Business Profile in itself was not done correctly. Note: The following steps must be done using the Instagram app on your phone. Before starting this step, note that any insights or metrics from Instagram may be wiped completely. If there is data you need, make sure you export it first using "Data Download" in the IG App Settings. 1. 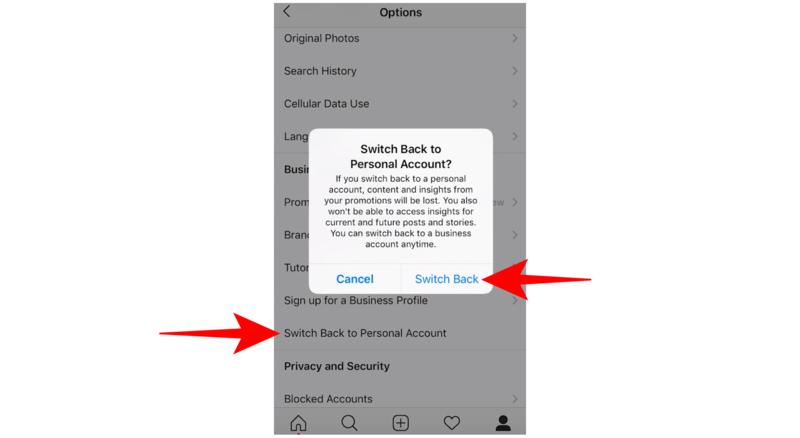 Go to your mobile device, login to this Instagram profile and convert it back to personal. 2. Once again on your mobile device convert Instagram to business once more. Make sure you are selecting the correct Facebook page for that brand. Do not click skip as this may create a brand new Facebook page for it.